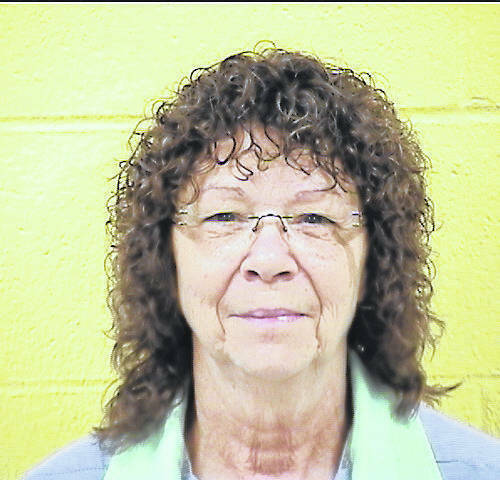 COLUMBUS — A clemency hearing is scheduled for later this month in the case of a Meigs County woman convicted in the shooting death of her husband nearly 10 years ago. Paula S. Rizer, 61, is currently serving a prison sentence of 18 years-to-life following her 2010 conviction for the murder of Kenneth Rizer Sr.
Meigs County Prosecutor James K. Stanley confirmed that Rizer has been granted a clemency hearing based on her claim of being a battered woman, something she argued at trial in a self-defense claim. The jury did not side with Rizer on the claim at trial, convicting her of murder in January 2010. Stanley will argue against Rizer’s petition for clemency at the hearing before the parole board. Family members of the late Kenneth Rizer Sr. may also be permitted to speak at the hearing. Paula Rizer and her legal representation are also expected to present testimony as to her reason she should be granted clemency. She is asking either for a pardon or commutation of sentence. A pardon is the remission of a penalty. It is an act of grace or forgiveness that relieves the person pardoned from some or all of the ramifications of lawful punishment. A pardon may be conditional or unconditional. Pardons do not erase or seal a conviction; a pardon forgives guilt. Commutation is the reduction of a penalty to one less severe. A commutation may be conditional or unconditional. Paula Rizer was charged with aggravated murder in the death and was convicted of murder during her second jury trial in January 2010. Rizer was acquitted on the aggravated murder charge in late 2009, with the jury deadlocked on the murder charge (11-1 in favor of guilt). She was sentenced to 15 years-to-life in prison with an additional three years on the firearm specification. Kenneth Rizer Sr. was found dead in his recliner in the couple’s Lovett Road home in Lebanon Township on April 3, 2009. He was hit by five bullets, at least three of which were fatal, according to previous Sentinel reports. Paula Rizer claimed she was a victim of domestic violence at the hands of her husband, and had fired shots at her husband in self-defense during an escalated argument, although she first told investigators she and her husband were preparing to target shoot. Rizer appealed to the 4th District Court of Appeals and ultimately the Ohio Supreme Court, the latter of which declined to take the case. Rizer’s final appeal attempt in 2012 was denied. Rizer appealed her conviction on the basis that a state forensic expert’s testimony violated her right against self-incrimination, and four other assignments of error, including claims the court erred when it prohibited the defense from calling Rizer’s granddaughter as a witness, erred in its jury instructions on the law of self-defense in battered woman syndrome cases, that her defense counsel was deficient, and that the court erred in ordering $10,000 restitution for funeral costs, and $17,580 for the costs of her confinement in the Washington County jail while she awaited trial. Testimony from Dr. Robert Stinson, a state rebuttal witness at trial, pointed to inconsistencies between Rizer’s account to police in the hours following her husband’s death and what she later told him in an October 2009 interview, just prior to her first trial. Just after her arrest, Rizer told a sheriff’s deputy and an investigator with the Ohio Bureau of Criminal Identification and Investigation that she and her husband had a happy relationship, but in her second trial, she relied heavily on allegations her husband had intimidated and struck her. That, Stinson said at trial, was malingering, and an attempt to create a second defense when her first did not seem effective. In their only action to overturn the orders of Judge Fred W. Crow III, the appeals court vacated Crow’s $10,000 restitution order and instructed him to impose an order of $9,200. She is currently an inmate at the Ohio Reformatory for Women in Marysville where she is eligible for her first parole hearing in 2027.